Daniel A. 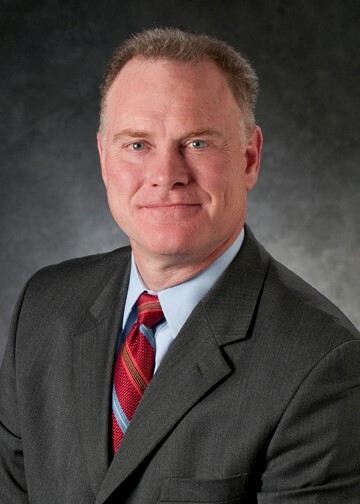 “Dan” Weekley is vice president–Southern Operations, Dominion Energy. He is responsible for working with the Energy leadership team to identify further business growth opportunities in the southern region of the United States. He also continues to oversee the company’s Government Affairs functions in the interim. Weekley joined Consolidated Natural Gas in 1989, focusing on coal-related matters and later on natural gas transmission, storage and production. He became part of Dominion in 2000 upon the merger with CNG. In 2001, he was named director-Northeast Government Affairs, and he became managing director-Northeast Government Affairs in 2007. He previously was responsible for state and local affairs issues in New York and West Virginia for Dominion Transmission and Hope Gas Inc., both subsidiaries of Dominion. Weekley was named vice president-Government Affairs in January 2011 and became vice president–Corporate Affairs in January 2014. He assumed his current post in January 2017. He serves on numerous boards in New York, Massachusetts and Connecticut, including the New England Energy Alliance in Massachusetts. He also is past vice chairman and treasurer of Mitchell College in New London, Conn. He is past chairman of the United Way of Southeastern Connecticut fundraising campaign, which collected more than $9.3 million. He is a member of the board of trustees of the West Virginia chapter of The Nature Conservancy, and of the boards of directors of the Virginia Foundation for Community College Education, the Greater Richmond Partnership Inc., and the Maymont Foundation. He was the 2015 and 2016 chairman of the Leukemia & Lymphoma Society fundraising effort. He earned his bachelor’s degree in business and finance from Marshall University and his executive master’s degree in business administration from Indiana University of Pennsylvania.